Manufacturer & exporter of Common Steam Header. 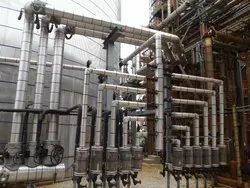 Our in-depth knowledge and industrial expertise have enabled us to offer a comprehensive range of Common Steam Header. The offered range of Common Steam Header is manufactured by our team of professed engineers with utmost care. Our Common Steam Header is best in quality & demanded in the market. Our Common Steam Header can be customized in variety of options in order to meet the ever-evolving necessities of our valuable clients across markets of the country.